You are responsible for adding value to current projects and to further developing within treasury management and other treasury systems. We are recruiting for an SAP Treasury Consultant with the experience to add value to current projects and the ambition to further develop within treasury management and other treasury systems. This unique role offers the opportunity to be valued as the subject matter expert within SAP, in turn gaining further insights into treasury from the specialized Zanders team. We are an international specialized consultancy firm advising global organizations within treasury management, risk management and corporate finance. 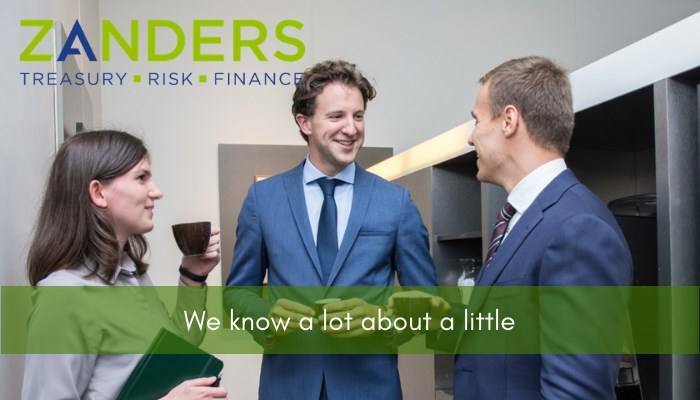 Our clients choose us because of our specialist and trend setting ideas surrounding financial solutions. Our 150 Consultants work from our offices in The Netherlands, Belgium, United Kingdom, United States and Switzerland. Please send your application for Consultant: SAP Treasury at Zanders in Londen including your CV via our website.